Wow its been a busy few days! Tim and Sarah's wedding was on Tuesday - the weather was absolutely gorgeous. It was such a beautiful wedding, the bride's dress was gorgeous, the flowers were so pretty...they just looked so so blissfully happy. Love it! I've spent yesterday and today catching up on housework and having a fun day with Kathryn and the boys! We went to the park, fed the ducks, saw lots of adorable ducklings (I was so tempted to slip a couple into my handbag! ), had a picnic on the grass, did some running and played in the playground. Its such fun being a kid! Now its the end of the day and I am finally getting around to looking at my blog again. This is a really simple little card. I thought that the flowers looked like forget-me-nots. I love these flowers a lot and always look forward to seeing them flower each year. They're not out yet, but soon! 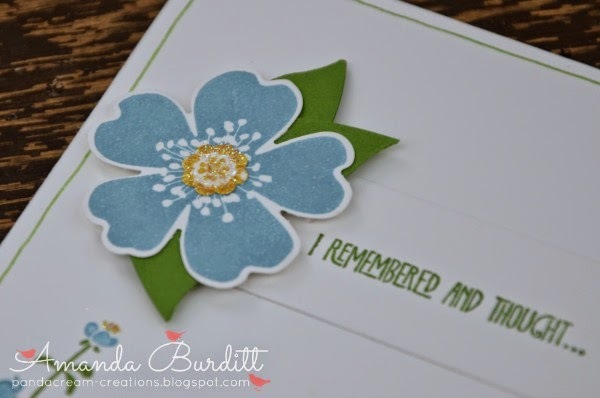 I also thought that forget-me-nots would be a cute idea for the a belated birthday card! 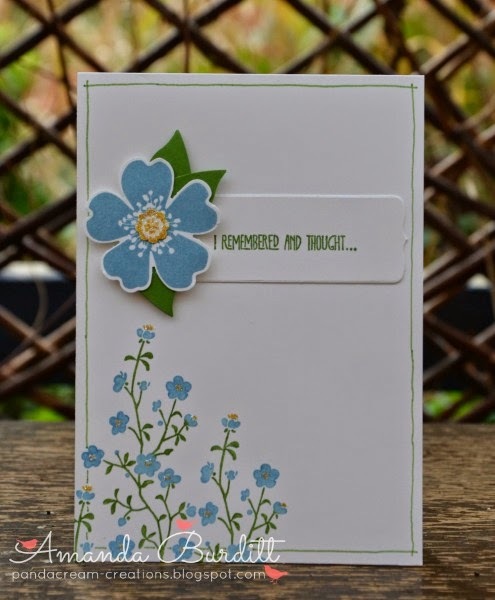 Marina Mist seemed like the perfect colour for the forget-me-nots and the bright yellow centres! I didn't want to cover up the yellow centres with anything like rhinestones or pearls so I thought the best way to add a little sparkle would be to use the 2 way glue pen and the dazzling diamonds glitter. Don't the bird wings just make the most fab leaves?! 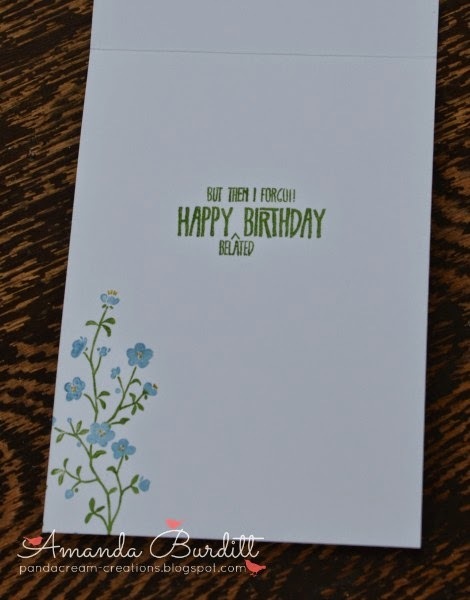 And of course a little quick stamping inside the card finished it off perfectly! I'll be back tomorrow with something else to share!